Long noted for exceptional reliability, strong resale values and high quality fit and finish, you can’t go wrong with a Honda, it seems. And as some of the most popular-selling vehicles in America, there are plenty of used Hondas out there worthy of consideration. Here are three of the Best Used Honda Cars – chosen on the basis of numerous accolades, value, fun-to-drive and other intrinsic qualities. See if you agree. Honda S2000 (2006-2009) – U.S. News and World Report’s Automotive Rankings says of the 2008 Honda S2000 sporty car that it’s a “top choice for anyone wanting a fast, affordable sports car or convertible.” The magazine’s editors rank the 2009 model #2 out of 8 Affordable Sports Cars. Road & Track named the Honda S2000 CR (which stands for Club Racer) as one of its Top 20 New Cars for 2008, saying “Honda’s S2000 roadster has been nothing but good fun.” Consumer Guide calls it “pure sports car fun,” if a “bit stiff-riding and noisy.” Okay, it’s a two-seater convertible, cramped on space. But it’s a blast to drive and gets decent fuel economy for the segment. 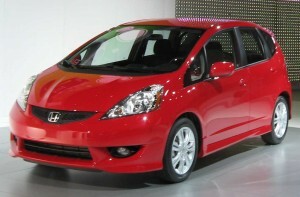 Other Honda models to consider include Accord, CR-V, Element, Pilot and Odyssey.